Bladder Cancer Australia Charity Foundation is a registered not-for-profit foundation which has been established to increase public awareness of Bladder Cancer and to gain support from Government and to campaign for improved screening. 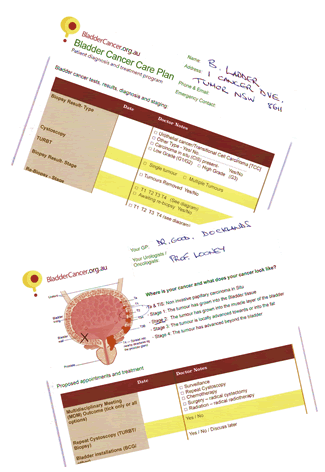 Bladder Cancer Australia Charity Foundation aims to save lives & reduce costs through campaigning for early detection. The foundation does not receive public funding and is totally reliant on donations and in-kind contributions from the public and health professionals. Please also support Bladder Cancer Awareness Australia whom advance awareness, further education, support research and promote the prevention of Bladder Cancer in Australia.